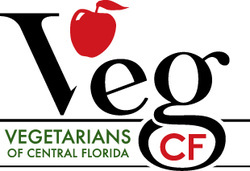 Why is Central Florida Veg Fest Vegan? A vegan diet has been cited as being healthier than diets containing animal products by many studies. Besides avoiding cholesterol, saturated fat and carcinogens found only in dairy products such as casein, vegan diets omit the by-products of industrialized animal agriculture such as growth hormones and antibiotics. Conversely, vegan diets are higher in fiber, antioxidants, and vitamins and minerals. Current research indicates that cardiovascular diseases, many cancers, diabetes, and many other ailments are positively impacted by vegan diets, both in terms of prevention and treatment. For example, a recent study funded by the National Cancer Institute reported that vegans have lower rates of cancer than both meat-eaters and vegetarians and concluded that "Vegetarian diets seem to confer protection against cancer." that "Not only is mortality from coronary heart disease lower in vegetarians than in non-vegetarians, but vegetarian diets have also been successful in arresting coronary heart disease. Scientific data suggest positive relationships between a vegetarian diet and reduced risk for…obesity, coronary artery disease, hypertension, diabetes mellitus, and some types of cancer." them to feel pain and to suffer. pushed by bulldozers into trash heaps, and animals are often unintentionally killed during long, cramped transports. The meat, dairy, egg, veal, wool, and leather industries are all closely connected and interdependent. Consuming dairy and eggs contributes directly to the meat industries. From male chicks being disposed of alive by the egg industry, to the leather industry being directly funded by meat, to the male calves of dairy cows being used for veal, it is impossible to consume non-meat animal products without benefiting the meat industries and causing animal suffering. As science and ethical systems have evolved, so too has our understanding of animal suffering. 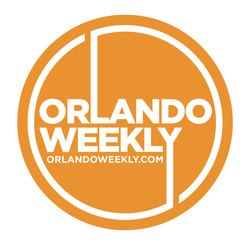 The 19th century philosopher Jeremy Bentham observed, "The question is not, Can they reason? nor, Can they talk? but, Can they suffer?" M.K Gandhi, a lifelong vegetarian and freedom fighter, wrote in this autobiography, "To my mind, the life of a lamb is no less precious than that of a human being. I should be unwilling to take the life of a lamb for the sake of the human body. I hold that, the more helpless a creature, the more entitled it is to protection by man from the cruelty of man." The Cambridge Declaration on Consciousness in Non-Human Animals, which was publicly proclaimed in Cambridge, UK, on July 7, 2012, concluded that "humans are not unique in possessing the neurological substrates that generate consciousness. Non- human animals, including all mammals and birds, and many other creatures, including octopuses, also possess these neurological substrates." The excessive resource use of animal agriculture deprives land, fuel, grain, water and other resources to vulnerable populations of people, leading to hunger, drought, regional resource conflicts, and displacement. Marc Bekoff has written, “A reduction of meat consumption by only 10% would result in about 12 million more tons of grain for human consumption. This additional grain could feed all of the humans across the world who starve to death each year- about 60 million people." Additionally, factory farms, slaughterhouses, and other places where animals are processed are commonly cited as some of the most dangerous and unfair workplaces. OSHA reports that over 9,003 farm workers died from work-related injuries in the US between 1992 and 2009. Workers in the meat industry make an average of $23,000 a year, work 10+ hours a day, and suffer a repetitive motion injury rate 30 times the national average. Factory farm workers routinely inhale hazardous levels of particulate matter as well as ammonia and hydrogen sulfide gases. A 2002 Iowa State study found that as many as 70% of U.S. factory farm workers suffer from acute bronchitis, and 25% battle chronic bronchitis. Animal agriculture is environmentally unsustainable. From the widespread contamination of drinking water supplies in North Carolina by hog manure runoff to the exponential deforestation of the Amazon rainforest due to cattle ranching in Brazil to the rise of drug-resistant pathogens as the result of feeding antibiotics to chickens on American factory farms raising animals for their meat, milk, eggs and skin creates problematic consequences for public health, natural resource management, biodiversity conservation, and wilderness preservation. When we eat and wear animals, we use more land, fuel, water, fertilizer, antibiotics, pesticides, and grain, than we do when we engage in any other agricultural practice. The production of one quarter-pound hamburger requires 6.7 pounds of grain and forage, 52.8 gallons of water, 74.5 square feet of land, and 1,036 BTUs of fossil fuel. Producing meat, dairy, eggs, leather, wool, and so forth cycles finite resources through animals to achieve a net loss of resources. The UN Commission on Sustainable Development reported that it takes up to 7,000 liters of water to produce 100 grams of beef in developing countries, while it takes just 550 liters of water to produce enough flour for one loaf of bread (9). Further, a global assessment of the water footprint of farm animal products was published in the academic journal Ecosystems in 2012 and it concluded that the water footprint of any animal product is larger than the water footprint of crop products with equivalent nutritional value. Twenty-nine percent of the total water footprint of the agricultural sector in the world is related to the production of animal products, with the average water footprint per calorie for beef found to be 20 times larger than for cereals and starchy roots, and the water footprint per gram of protein for milk, eggs and chicken meat found to be 1.5 times larger than for legumes, for example. Similarly, limited energy resources are negatively impacted by the use of animals for food and fiber. In a study published by the American Journal of Clinical Nutrition, the average fossil energy input for all animal protein production was found to be more than 11 times greater than that for grain protein production. In terms of land use, livestock now use 30 percent of the earth's entire land surface, including 33 percent of the global arable land used to produce feed for livestock. Further, animal consumption is a major driver of deforestation, with some 70 percent of former forests in the Amazon having been turned over to grazing. In addition to unsustainable resource consumption and contribution to global climate change, animal agriculture serves as a major source of air, water, and soil pollution. According to the EPA, "A single dairy cow produces about 120 pounds of wet manure per day, which is equivalent to the waste produced by 20-40 people". Additionally, the EPA reports that the waste generated by animal agriculture has polluted over 35,000 miles of river in 22 states. Ground soil is also degraded by nutrients and heavy metals present in animal feed which are inevitably excreted by livestock. When concentrated due to animal agriculture's unsustainable practices, zinc, copper, chromium, arsenic, cadmium and even lead, build up in the soil and reduce fertility, runoff into water, and end up in the human food supply. Into our air, factory farms emit harmful gases and particles such as methane and hydrogen sulfide, which can contribute to air quality degradation and harm the health of those living or working nearby. determining the overall environmental sustainability of a product or process, and environmentally unsound practices are of course found in all types of agricultural production, not just that of animal products. But it is clear that acre for acre, pound for pound, and gallon for gallon, animal agriculture, regardless of its level of industrialization, location, or size, is relatively environmentally harmful and unsustainable relative to other types of comparable agriculture.